I would like to thank Mr Palmer for his comments, as they simply demonstrate some of the personal verbal attacks that I have received from the anti-Northern lobby (Chichester Deserves Better, A27 Alliance) for well over three years now and so it continues. So let me correct the misrepresentations of the facts according to Mr Palmer. Back in the autumn of 2015 when it became known that two Northern options for the A27 would be included in the Highways England’s consultation there were considerable concerns raised by many in the North – all perfectly reasonable for communities possibly affected. I was contacted by quite a few people insisting that I came out against any northern options. I chose not to comment on any of the proposals until after the consultation and I had heard the comments from the communities I represent. The county council’s decision in such matters is not mine, but one for the cabinet member responsible for highways and infrastructure, having listened to the views of the scrutiny committee. My refusal to come out in favour of any option was read, without any evidence, that I supported the Northern route. The whole problem with the A27, which Gillian Keegan acknowledged at the West Wittering meeting, was the way in which, in February 2016 with under two weeks to go before the start of the consultation, Highways England removed the Northern Options and the consultation stopped. There were no explanations but much obfuscation for many months. So is it any wonder that when the flawed consultation was finally undertaken, 47 per cent of respondees wanted none of the five options offered? The Highways England report also showed 56 per cent of respondees wanted to see the northern options back on the table. From the Freedom of Information disclosures, which are available, the reason for the withdrawal finally became clear and this too was referred to at the West Wittering meeting. I had not planned to speak at that meeting but when I did I made the following points: when that consultation was stopped there was, in my opinion, a great disservice done to everyone in the area. They were denied the right to review and make comments on all the options which had been produced at the considerable expense of tax payers. Nothing will be truly settled in our communities until all options are put back on the table. BABA27 was the creation of a meeting held back in March 2017. It was agreed and supported by anti-Northern bypass and anti-Southern bypass residents alike. They came together in good faith and I thank everyone for their input. In September 2017, there was a crucial meeting of the BABA27 group. Having been told the money was still available the group had to make a decision: should it go for the money and choose Option Two in the flawed consultation with some promised environmental mitigations, or should it continue to look to bid for further investment in the second round of the government’s Road Investment Strategy? There was a big debate of the pros and cons. A poll of all those in the room was taken – 36 against and 26 in favour. This made a clear statement of the need to find a long-term sustainable solution for this historic place that we all love. Systra were instructed to give an outline of the possible options to ensure a community consensus, which Chris Grayling requested. The county and district councils independently endorsed the preferred mitigated Northern Option and that position remains. 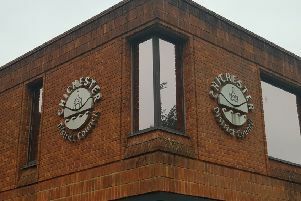 Chichester District Council is currently consulting on their local plan. And it is very difficult for them. They have to produce a plan, identifying sites for the many houses needed in the district, but with a considerable amount of land unavailable to use because it’s either in the National Park or the Area of Outstanding Natural Beauty. It means that south east, south west and south Chichester and the city itself are heavily impacted, with very little certainty about road infrastructure funding in the near future. The squeeze is further increased as there is no traffic separation for the ever increasing local and through traffic which means one thing only – greater air pollution for everyone in the city and environs. Not all the residents I represent support a Northern Option but very many do. Chichester District Council’s local plan challenge highlights the need for serious investment in the A27 now. We can all say this is just too difficult. But from the many comments made to me, that are very different from Mr Palmer’s I hasten to add, we have no other option but to put the case for funding for a sustainable long-term option for the A27. As part of this process I will be putting pressure on Highways England to provide clarity around a number of statements they made in their options rejection letter. Surely Chichester and the surrounding area deserves this. By Louise Goldsmith, West Sussex County Council leader. By David Palmer, Chichester resident for 74 years. It was called a ‘Witterings Open Meeting with Gillian Keegan’. On Friday, January 11, it was standing room only as around 200 voters packed into West Wittering Memorial Hall. But this was no normal political meeting. This was a tribal gathering of the Northern Route Fanaticals – let’s call them the NoRofans. Before Gillian Keegan had finished speaking, NoRofans from the floor were interrupting her with questions. Why was the Northern Route scheme not going forwards? What was Gillian Keegan doing to secure hundreds of millions of Government money for Chichester? When was she meeting the Minister? In vain did a patient and openminded Keegan reply that she could not ask for money without an agreed traffic scheme to be funded. Any A27 traffic scheme had to have the backing and endorsement of Highways England. There is no such scheme on the table. For over an hour, the NoRofans filled the air with frustrated rage. From the platform, Witterings councillor Pieter Montyn reminded his MP that there are well over 20,000 voters to the South of Chichester, and a mere 5,000 to 6,000 to the North. From the back of the hall, the High Priestess of the NoRofans, West Sussex Council leader Louise Goldsmith, was invited to speak. And yes, Louise had a solution – we must persuade the powers that be to reinstate the two Northern Route options that were dropped back in 2016. The NoRofans applauded her back to her seat. Since 2016, the Northern Route has been formally rejected at either Government or Highways England level on at least three occasions. What is Louise Goldsmith’s bright new dawn for traffic-jammed Chichester residents? Get approval for a new Northern Bypass. By a delicious irony, Highways England’s letter turning down Chichester’s recommendation of either a Mitigated Northern Bypass (preferred) or a full southern route upgrade was published just before the meeting. No one had read it, so it was not discussed. For those of us who live in and around Chichester, it is a withering document. Both schemes are deemed to be ‘not workable or affordable’. Systra’s mitigated northern route proposal is costed by Highways England as ‘in excess of £480m’ – and that is with no A286 interchange, and extra costs anticipated at Boxgrove roundabout. Whoops. Systra’s report last May estimated between £350m and £400m. The same extraordinary underestimate of costs applies to Systra’s bypass upgrade plan – Highways England estimates £500m. Systra’s figure was £300m-£350m. But it gets worse. Highways England pours diplomatically worded scorn on the technicalities of Systra’s Chichester proposals. The southern option is ‘not technically buildable’. Several of the new junctions proposed ‘have sliproads facing each other’, which is ‘against Highways Standards’. The mitigated northern route would ‘intrude into the South Downs National Park’, which is ‘against the National Policy Statement for National Networks’. Both options ‘have considerable issues to delivery that cannot at this time be overcome’. I write as a Chichester resident since 1945 – and yes, I live north of Chichester, close to the route of the Northern Bypass. I was founder chairman of Spirit FM. My great-great grandfather was Recorder of Chichester in Victorian times. Eighteenth century ancestors were Alderman and Town Clerk. You could say I have deep Chichester roots. I have watched Louise Goldsmith presiding over a shambles. Don’t blame Systra for their failed proposals. They were only given two months to write their report. But the setting up of the flawed BABA27 group, the appointment of Systra, the comical exercise in consulting the public last March are all of a piece. Louise Goldsmith has systemically pursued a Northern Route as the solution to Chichester’s epic traffic problems. And now, six years after the Government first committed to improving the A27 bypass, we are back where we started. During those six years Goldsmith so muddied the waters around the 2016 consultation process that upwards of £250m of promised Government money was withdrawn; Goldsmith promoted and pursued the flawed BABA27 process, which was supposed to bring the North and South together. It did no such thing; Goldsmith wasted £100,000 on the Systra report. Chichester needs new leadership that will bring Northerners like myself and Southerners together to search for a solution that we can all live with. The starting point has to be that the Northern Route proposal is dead in the water. Gillian Keegan has a crucial role to play. But most of all, Louise Goldsmith needs to accept that on the A27 – the most important issue facing West Sussex’s capital city – she has done her honest best and she has failed. It is time for a new leader to redefine the issues and bring to Chichester the transport system we all deserve.